Our first article dealing with the New Tomorrowland of 1998 is going to be about the Rocket Rods. This article is going to be a pictorial article, as Yesterland already has a wonderful article up dealing with the attraction. The other side of the entrance didn’t receive the logo due to budget issues… Big surprise! 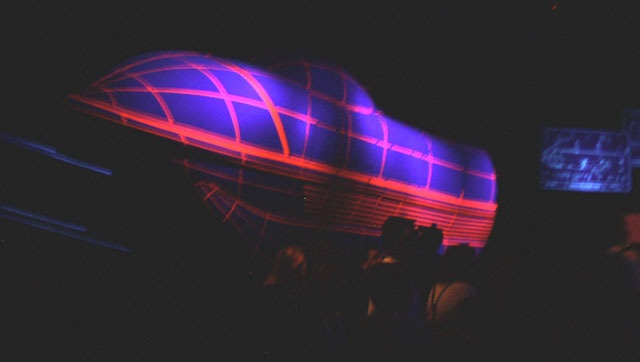 The attraction vehicle… Very weird in my opinion! Tomorrow, a look at the American Space Experience!